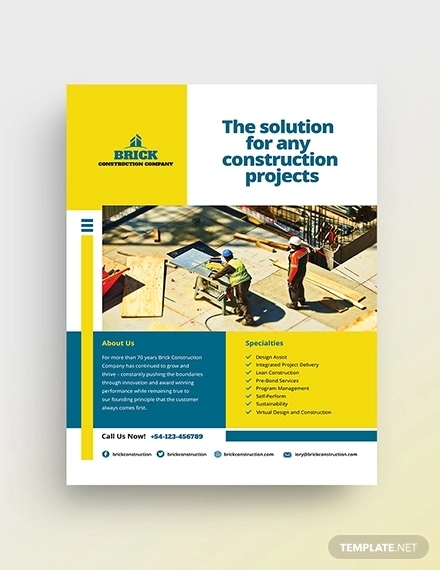 Given the continuous developments of buildings and infrastructures in the modern age, many construction companies have emerged to meet the increasing demands of consumers. These construction companies offer a variety of products and services for customers to use. 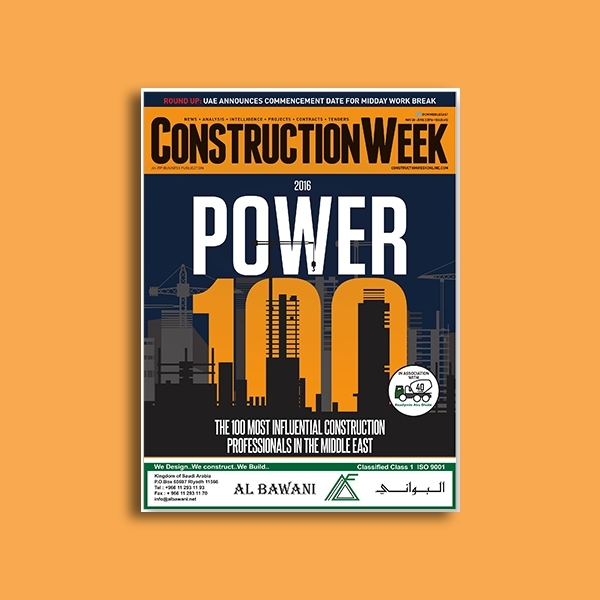 However, considering how the number of these construction companies have also multiplied over the years, how can a company stand out from the rest? 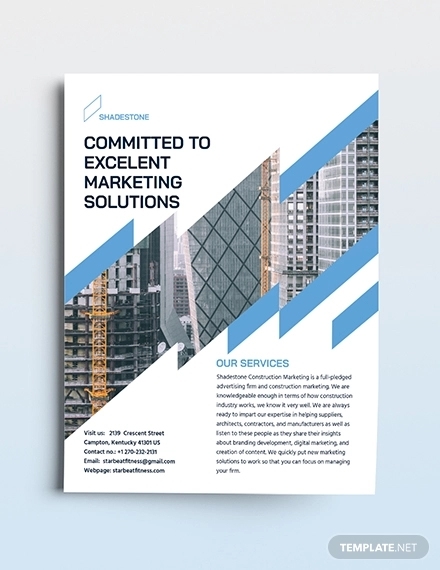 There are various marketing strategies and tools that have proven to be effective in reaching out to potential customers, and among the widely-used marketing materials comes everyone’s favorite flyers. 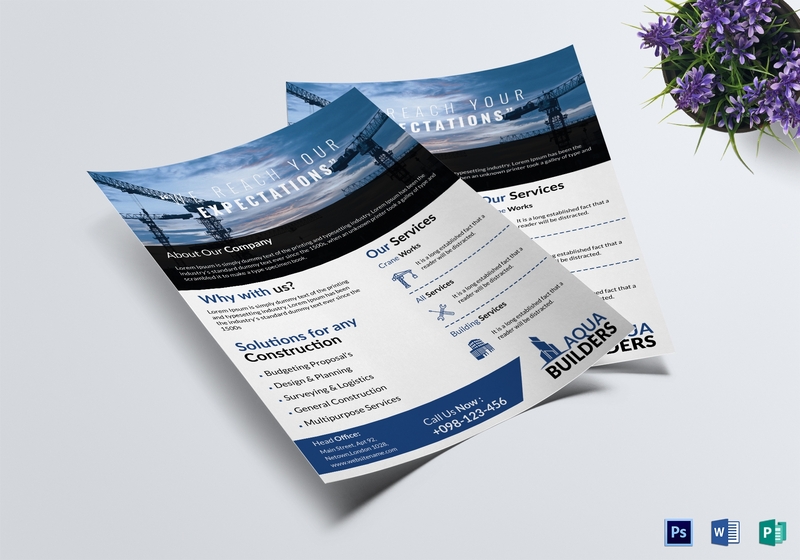 So if you’re a construction company hoping to promote your products and services, a construction company flyer can surely help. Capturing your target market’s attention is quite challenging and requires you to do some research on what appeals to them. People will only spend time on the things that greatly appeal to them as they cannot afford to waste their time on matters that are not interesting and does not concern them. 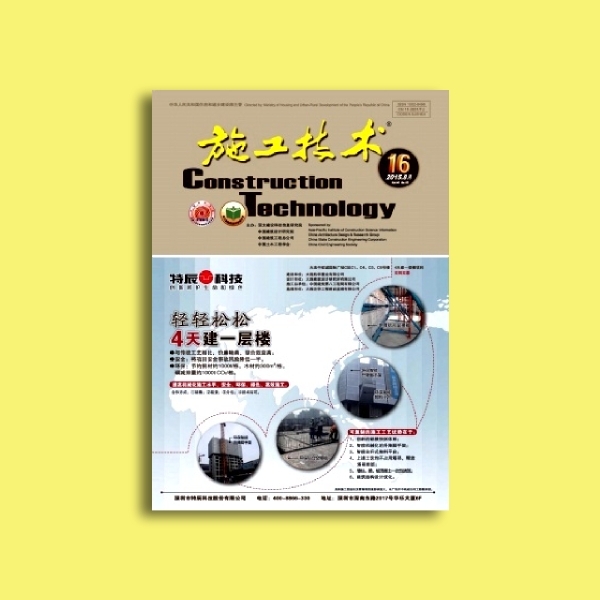 Hence, in order to create an appealing construction flyer, here are the elements that must be present. 1. Striking headline: The element of a flyer that primarily catches the attention of the viewer and ignites their interest in reading is the headline. This would be the basis for some people if they continue to read your material or not. It provides a glimpse of the overall content of your flyer or the offer that you are extending to your audience. 2. Name of the company: It is worth noting that you must also include the name of your company on your marketing flyer to make yourself known. Some people may confuse your style of promotion with other companies, so this would be the perfect time to briefly introduce yourself and establish your name in the industry. 3. Logo and other branding: Apart from your company name, people can easily recognize a company by its logo design and other branding materials. This should remind them of your company as well as the products and services that you are offering. 4. Other products and services offered: Although your flyer might include some of your product and service offers, it is not necessary to list everything down. Instead, select and highlight a few and focus your flyer design on those chosen offers. That way, you can effectively advertise them to a specific market. 5. 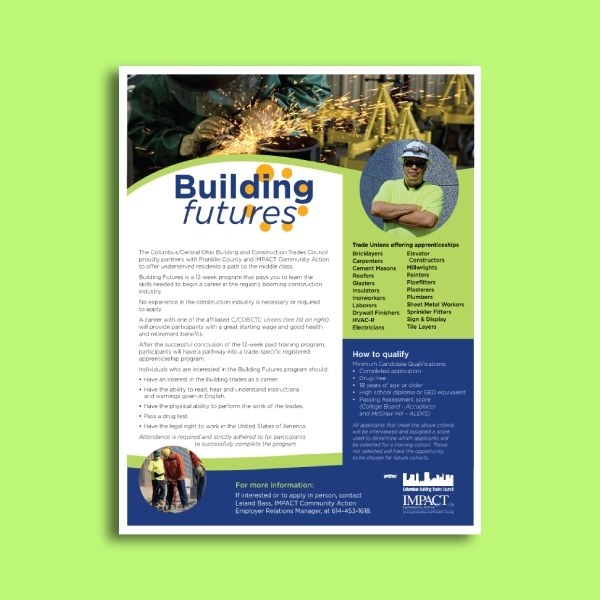 High-quality graphics: The graphics can greatly affect the visual appearance of your flyer. A flyer without graphics or photos may be tolerated, but only a few people would dare read a lengthy text. With illustrations, people can easily get a grip on what you are trying to tell. This would also make them understand your flyer as a whole. 1. 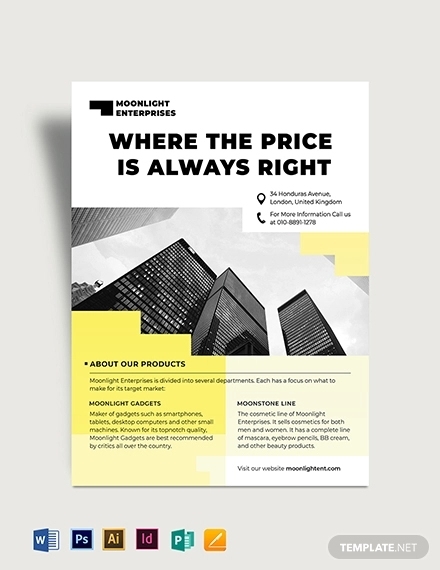 Choose a template: You can find a wide selection of flyer templates on the internet. There are templates that can be used for free, while there are those which must be purchased. Choose a format that would best suit your theme or your advertisement. Take into consideration the space for the amount of text and images that you would like to incorporate into your design. 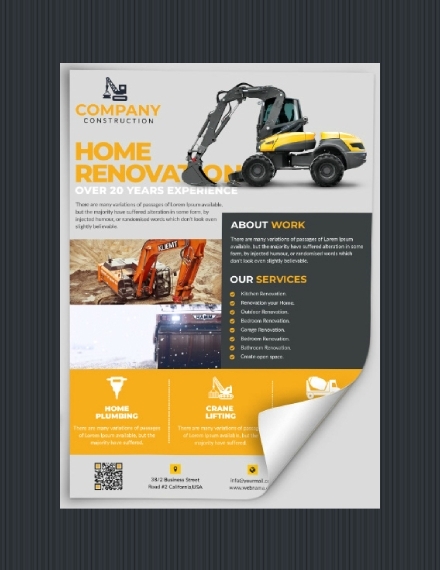 Also, choose a size and page orientation for your flyer before proceeding to the next step. 2. 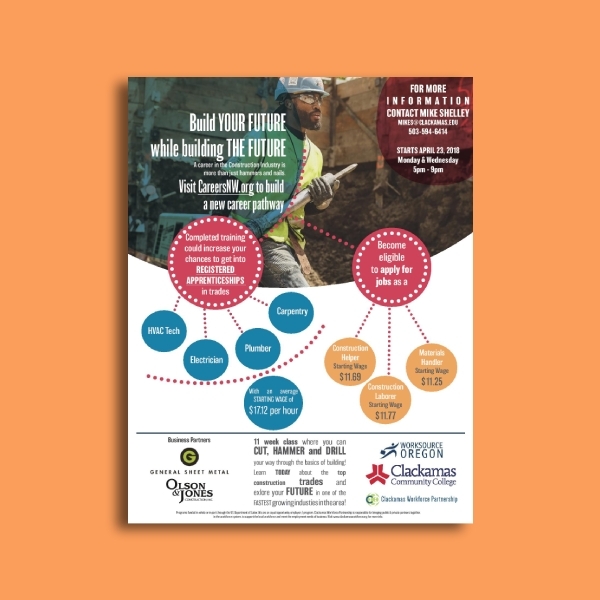 Incorporate the essential elements: Make sure that you have not missed anything and that everything you want to be included in your flyer are incorporated and placed properly. Ensure that there are no overlapping elements and that they are carefully placed in proper hierarchy. You may also see grand opening flyer examples. 3. 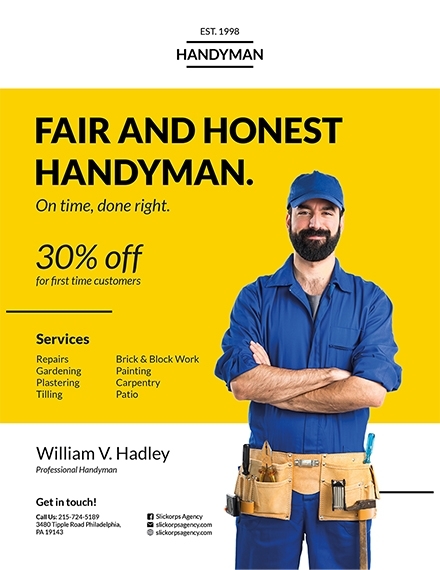 Double check: Now that you have finished selecting the format and layout of your flyer template as well as incorporating the essential elements, be sure to double check the content of your flyer. Make sure to finalize the design and texts, and review the material for any errors in terms of texts and graphics. Never let these errors impair your credibility and put your efforts into waste. Hence, proofread and finalize your work and make sure that everything is settled before your print a tangible copy. 4. Send for printing: Choose a paper that is appropriate for the purpose of your flyer. For example, if you want to create a flyer that is durable and cannot be torn too easily, you may opt for thick papers or card stocks. On the other hand, if you have a limited budget for your flyer, you can settle for thin papers, but just make sure to design your flyer well. Lastly, choose a printing shop that would accept the size that you would like to print and that produces a high-quality copy. Because advertising flyers are convenient and easy to hand out to prospective customers, they are widely used in many marketing campaigns. 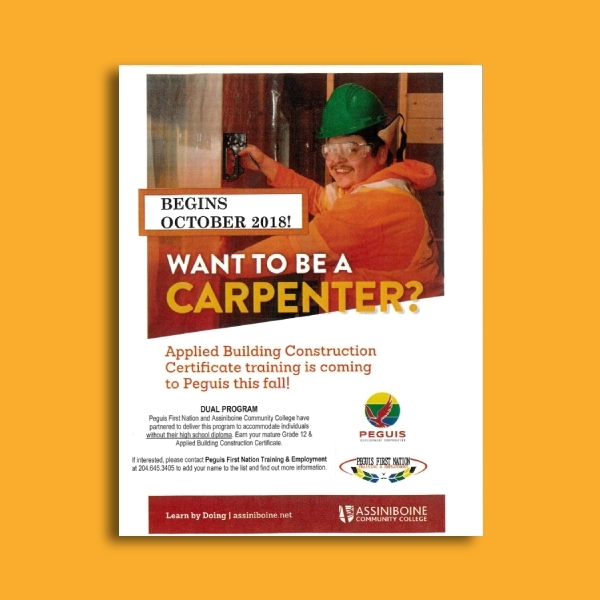 There are several types of construction company flyers that you have to note. 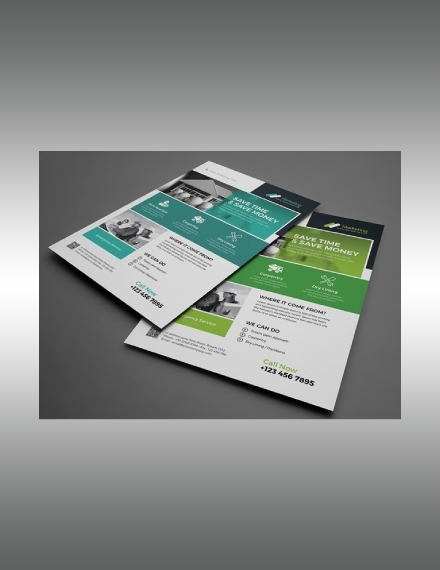 Leaflets: Often in the form of a single sheet of paper, this type of flyers are convenient, easy to print, easy to carry around, and easy for recipients to keep. They are also easy to create and inexpensive to print. Additionally, there are several single-page flyer templates that you can find and download from the internet. 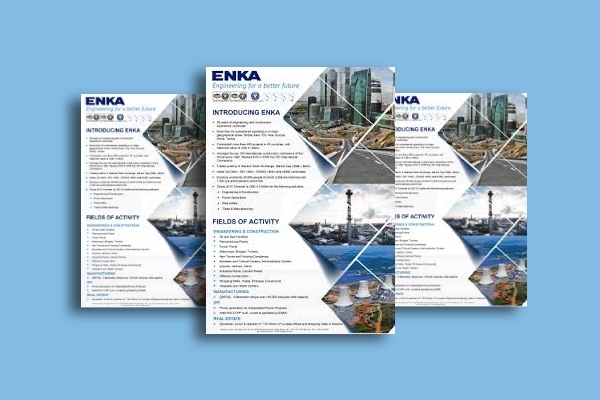 Tri-Fold Flyers: When you want to include a lot of information in your flyer, a tri-fold flyer is a suitable option. Because the page of a paper is divided into six panels with three folds, this maximizes the capacity of the paper to contain all the information that you want to include. 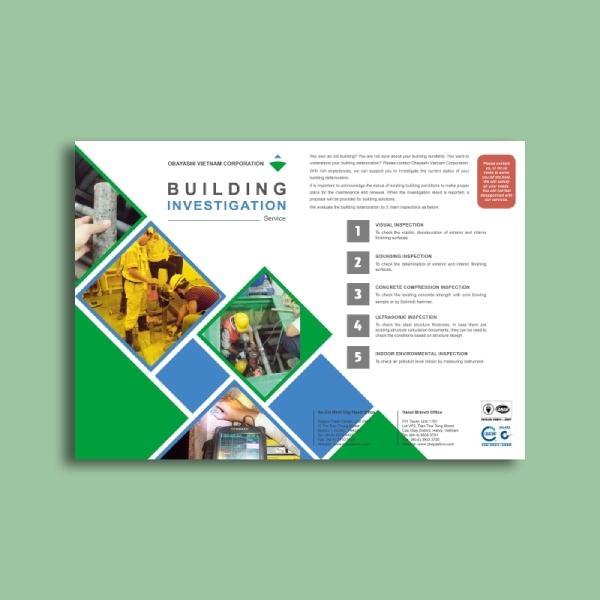 Hence, when there is a great deal of information that you need to incorporate in your flyer, use a tri-fold type of flyer to accommodate the necessary details. Door Hanger: Another type of flyer is the door hanger flyer which, instead of passing them out to the public, are inserted into door handles on homes of the potential clients. These flyers are designed with a hole where the door handle may be inserted. These are perfect for homes, business establishments, and shopping areas. 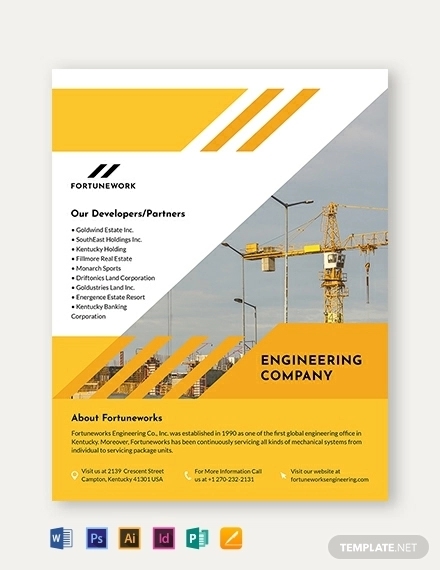 A lot of marketers choose this type of flyer since it can be placed closer to their target market. 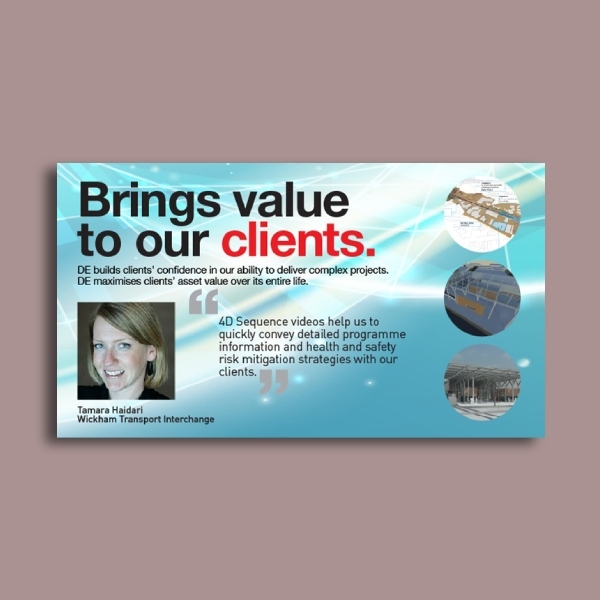 Mailers: The benefits of a postcard and a flyer are compressed in this type of flyer, the mailers. Mailers are multipurpose as they can easily be mailed to the intended recipient in just a few clicks. Digital Flyers: Finally, because we are in the digital era where everything can be found on the internet, you can find digital marketing flyers in different websites, social media sites, and even blogs. This type of flyer need not be printed and handed out in public places since they are intangible and only work digitally. Another advantage of a digital flyer is that it can easily be posted on a site or sent to a prospect directly. What is the significance of flyers? There are a lot of marketing materials used by a company for their advertisement. Based on factors like budget, target market, and time, an entity will determine which marketing tool must be used in order to generate maximum impact. 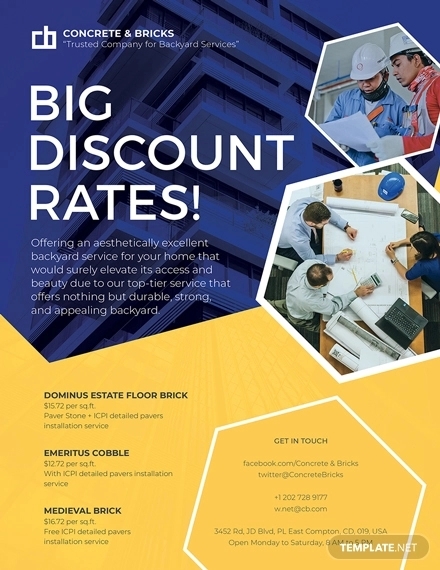 Flyers are proven to be effective because they can meet the needs of an entity in terms of production and convenience. 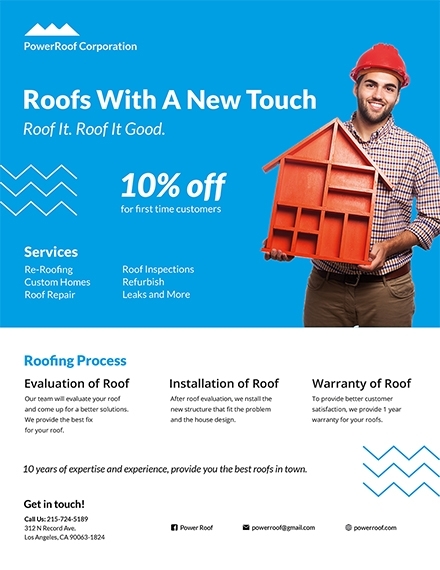 How can I create a flyer? Creating a flyer is not that complicated. You can either use a template or start from scratch. The former would only take a few minutes to complete. 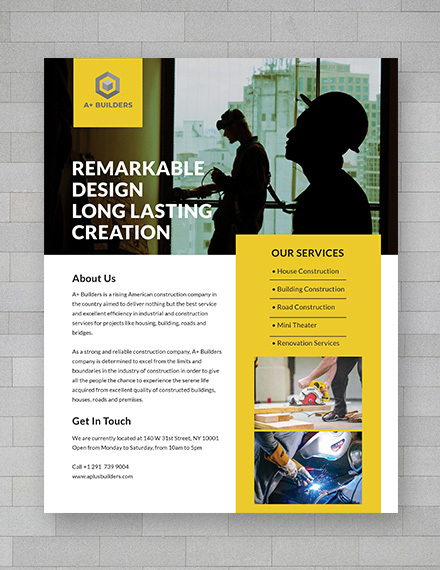 Moreover, if you are not confident with your design skills, templates are sure to come in handy. On the other hand, if you do have enough time to spare, along with the resources required, you can start from scratch in order for you to create a design of your preference.